After donning a number of experimental roles, theatre artist-turned-actor Vinay Forrt is gearing up to give life to a challenging character in Shyju Govind's directorial debut 'Godsey'. Touted as a black comedy, the movie has been inspired from TN Prakashan's short story Gandhimargam. Vinay plays Harishchandran, an alumnus of the School of Drama. As he is not interested in a normal life, he has been living life his own way. During a particular juncture, Harishchandran was forced to host a show Gandhimargam in Akashavani. As the programme was based on Gandhian ethics and values, it influences Harischandran deeply which brings out the contrast between his ideologies and the real world. For the written by Sherrey, Aparna Nair plays an interesting character. 'Godse' narrates the social and political situation of the 90s which include the demise of Rajiv Gandhi and the Babri Masjid demolition. 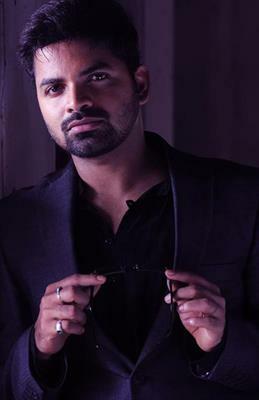 Vinay Forrt finds it as the most challenging in his acting career. Aparna plays a theatre student while she will be in the costumes of a particular character in a play during each scene. During the second half, she will be seen only as Kasthurba Gandhi. The movie will be canned at Thalasserry, Kozhikode and Thrissur. Vinay is blessed to don character roles in the forthcoming movies like 'Njan Ninnodu Koode Undu', 'Rosapookkalam', 'Vishwasm Athalee Ellam' and 'Premam'. In Alphonse Putharen's ' Premam', the versatile actor has given life to an unpredictable character. Meanwhile in Priyanandan's next outing 'Njan Ninnodu Koode Undu', Vinay Forrt plays a thief. He will also be seen a internationally reputed psychologist in Anil Nair's Rosapookkalam. Apara Nair is now on the peak of her acting career with a bunch of projects in kitty. She will be a part of some good movies like 'Thamara' and St.Mary'sile Kolapathaklam'. 'Thamara' zooms into the life of a fisherwoman who belongs to the traditional fisherfolk living on the Kerala-Karnataka border. 'St Marysile Kolapathakam' is a crime suspense thriller which revolves around the murder of a woman which takes place in St Mary's Working Women's Hostel.